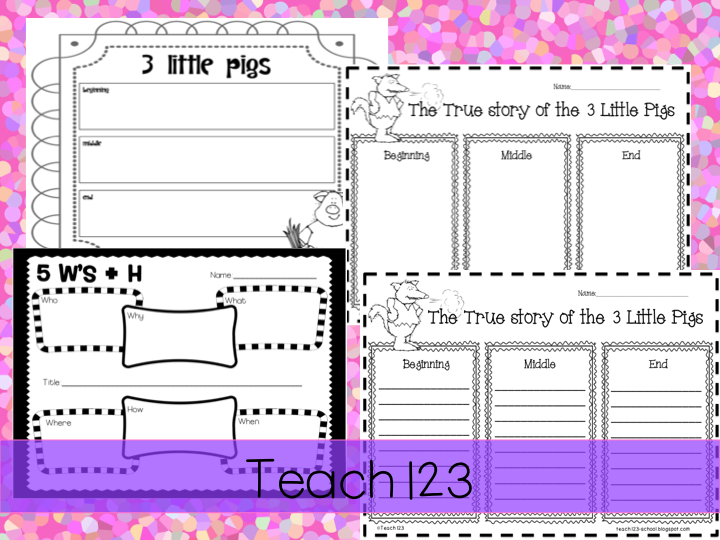 Beginning, middle, and end printables for 3 Little Pigs and The True Story of the 3 Little Pigs. A 5 W’s + H printable is included and can be used with any story. 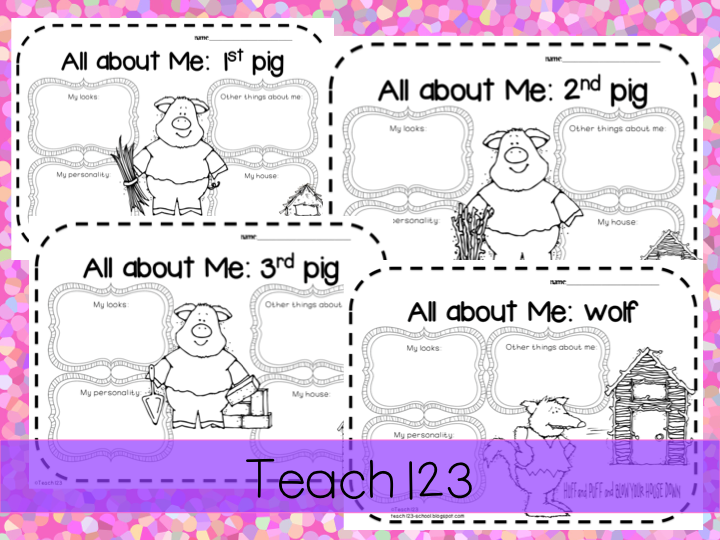 Four All about me – characterization worksheets come with this packet. 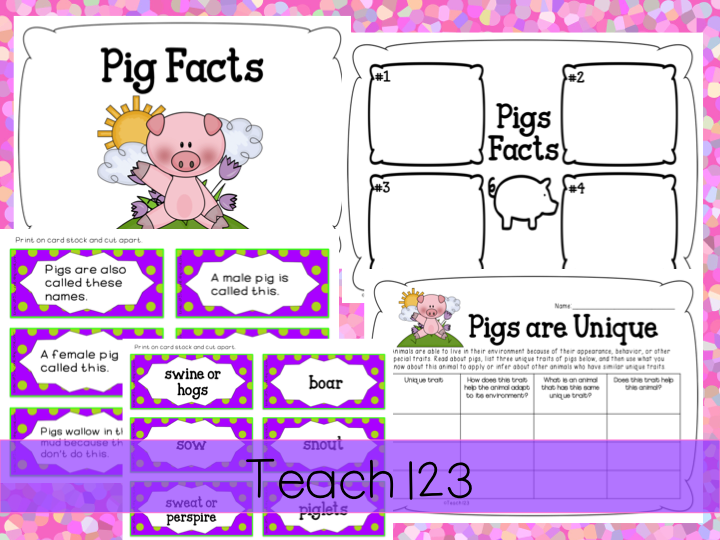 Pig Facts is an informational text center/activity. 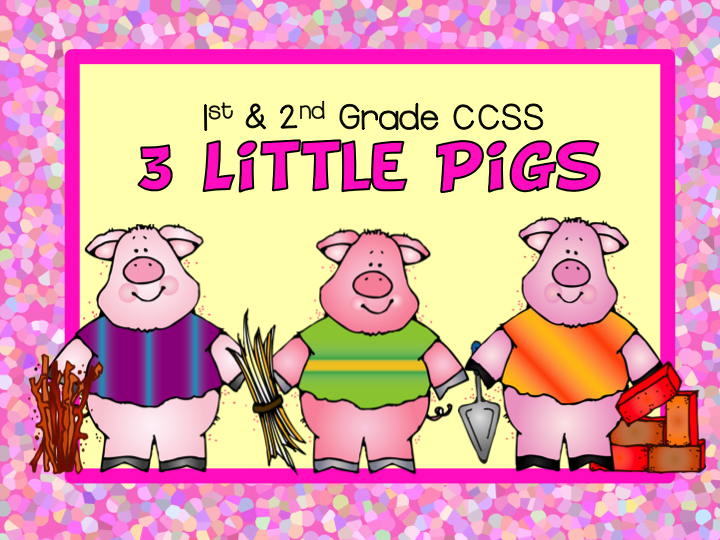 Students will research pig facts in books or on the internet. There are two different recording sheets so you can differentiate this assignment. Six facts and answer cards can be used as a matching game. 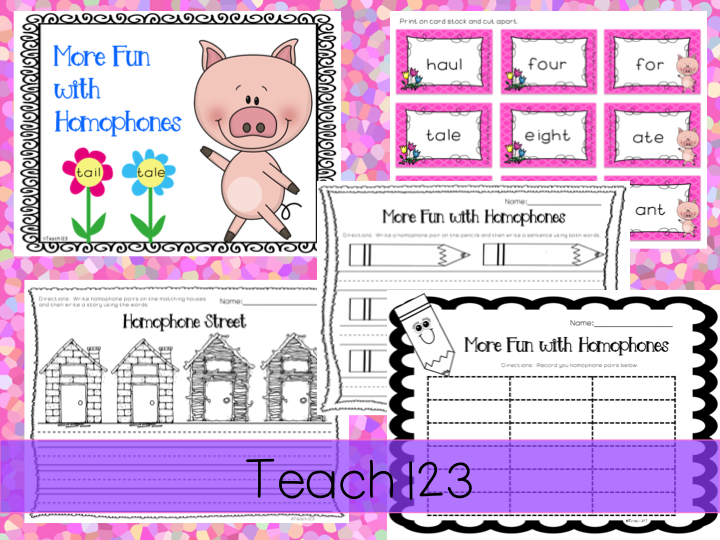 More fun with with homophones is a literacy center. There are 36 word cards that student will sort into homophone pairs. These cards can also be used as a memory game. There are three different recording sheets so you can differentiate this center. 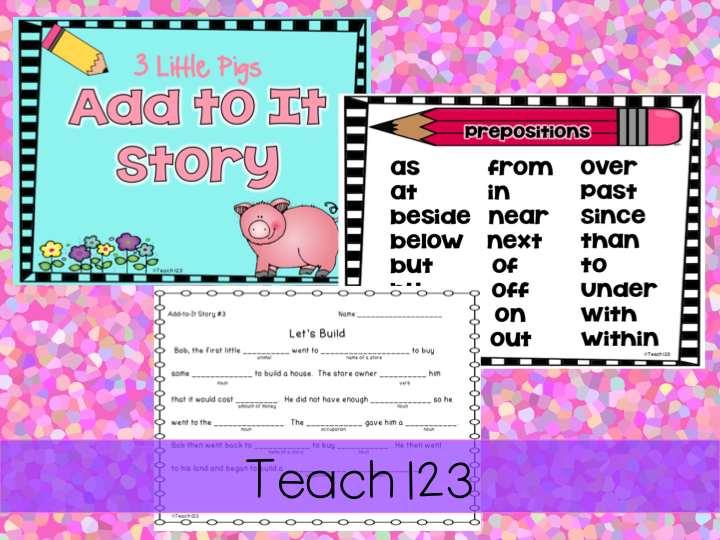 Add to it story is a fun partner activity plus is a great way to reinforce parts of speech. There are 4 reference signs and 4 stories included. 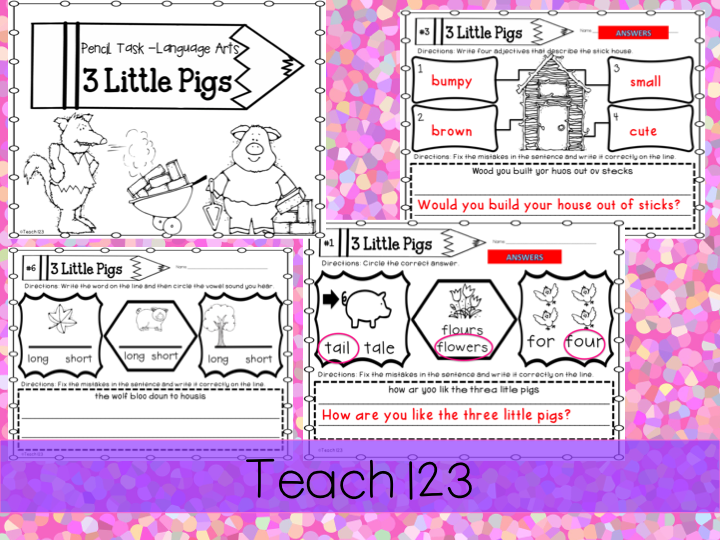 Pencil task printables can be used as bell work, seat work, or homework. Skills included are: homophones, adjectives, plural nouns, long/short vowels, and edit sentences. This can also be a easy prep center! Hi there Michelle! I'm a new follower 🙂 I love your 3 little pigs set!